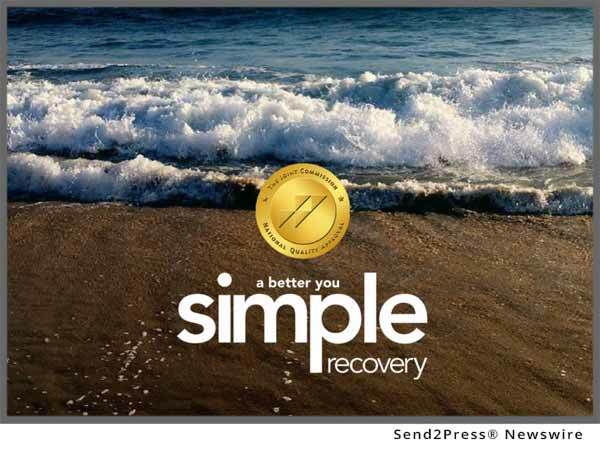 COSTA MESA, Calif., Mar 03, 2017 (SEND2PRESS NEWSWIRE) — Simple Recovery, www.simple-recovery.com, a leading Chemical Dependency Treatment Center in Orange County, California, announced today their ability to provide in-network addiction treatment services through 14 major insurance carriers, including Anthem Blue Cross. The announcement is a significant indication that Simple Recovery is committed to providing the highest quality care to as many individuals as possible. Simple Recovery underwent a demanding clinical evaluation with several managed care organizations to obtain in-network contracts, most recently with Anthem Blue Cross. “As a Joint Commission accredited behavioral healthcare organization, the high standards required by in-network payers aligned well with our organizational culture and practices,” noted Dr. Stephen Odom, CEO of New Vista Behavioral Health, the parent company of Simple Recovery. Serving over 8.3 million members in California alone, Anthem Blue Cross covers more Californians than any other PPO insurance provider in the state. Data from the California Department of Insurance asserts that 35 percent of Californians have Anthem Blue Cross as their insurance carrier. Since opening its doors in 2012, Simple Recovery has helped hundreds of individuals and their families recover from drug and alcohol addiction. Their in-network provider list now includes Aetna Behavioral Health, American Mental Health Network, Anthem Blue Cross, Beacon Health Strategies, LLC (formerly Valueoptions), ComPsych, HMC Healthworks, Integration Behavioral Health (IBH), Magellan Health which manages many California Blue Shield plans), Managed Health Network (MHN), Multiplan, Network by Design, and Western Growers. Founded in 2012, Simple Recovery is a Joint Commission Accredited, California licensed and certified, 18-bed residential and extended care program for men and women. Their addiction treatment program seeks to meet each client where they are at in their addiction and help them incorporate their newfound sobriety into their existing world. The achievement and maintenance of sobriety, success and self-respect occurs through both the drug and alcohol treatment process and behavioral change. Simple’s successful model bridges the gap between the confines of treatment and real life. New Vista Behavioral Health’s mission is to provide innovative, client-centered, evidence-based, treatment solutions to create a healthy and productive new vista for recovery and success. Their centers offer sub-acute detox, residential, partial hospitalization, intensive outpatient, and outpatient services for clients facing Substance Use and Co-Occurring Disorders. For more information about Simple Recovery and the services they provide, please visit http://www.simple-recovery.com/ or call 888-207-0965. Terry is the managing content editor for Massachusetts Newswire™, and has been a team member of the Neotrope® News Network since March 2009. He is currently attending college in Boston (he didn't make it into MIT and blames Red Bull for not giving him wiings to do so), does not hang out at "frat" parties, or have an avatar in Second Life, but he is a huge J.J. Abrams fan, and slavish to all things pop culture.